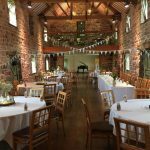 Benjamin performs regularly at The Ashes Barns Wedding Venue as one of their recommended suppliers. 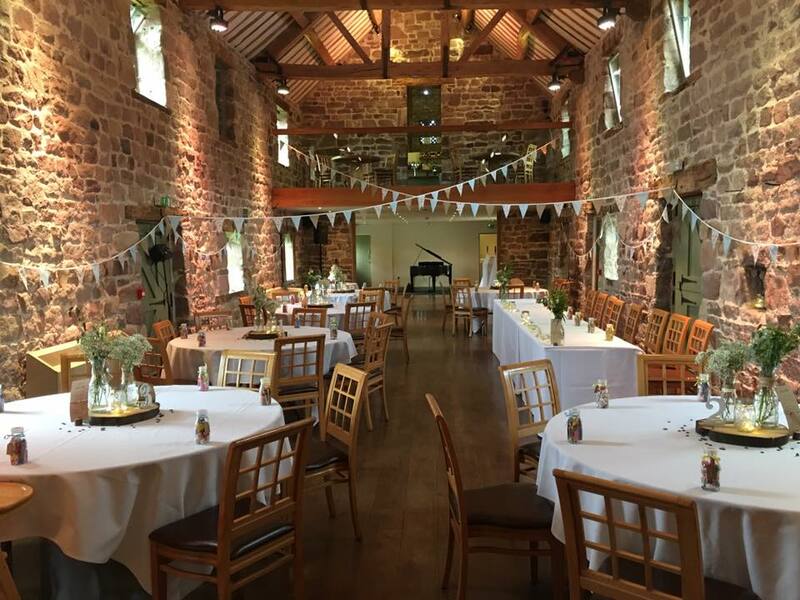 The West Barn at The Ashes Venue is a stunning location for your wedding ceremony. 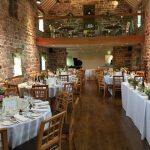 The shape of the barn with its wooden beams and stone floor all create a very resonant acoustic for any music you might wish to have played. 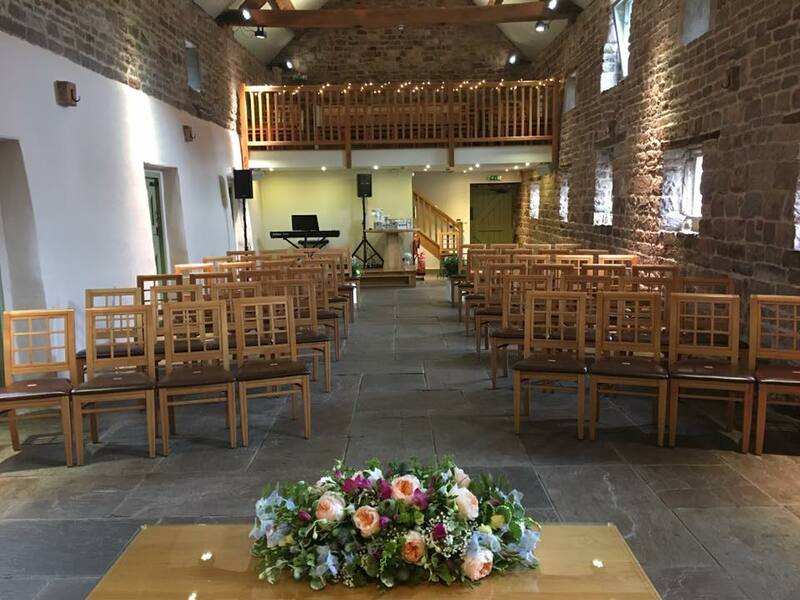 The venue has a piano up on the Juliet Balcony, however Benjamin would normally bring his own digital stage piano and set up towards the back of the barn on the raised wooden platform. 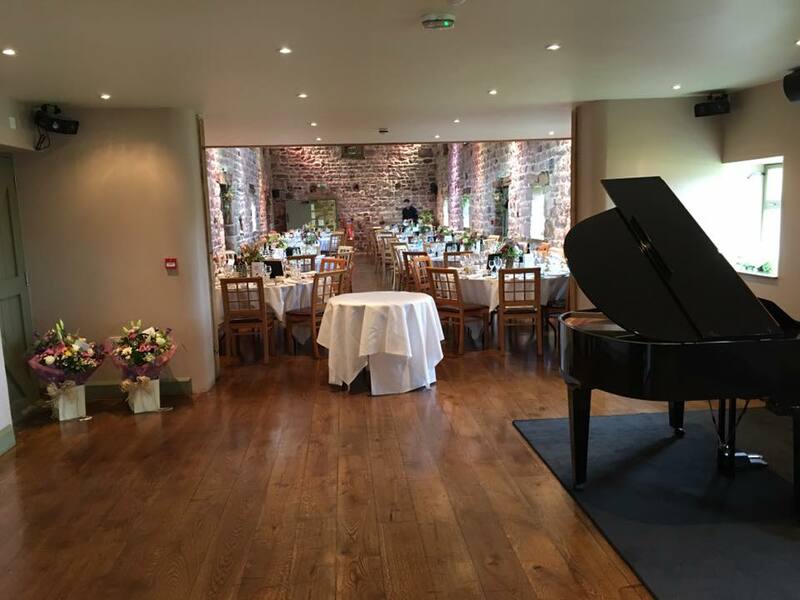 During drinks receptions, Benjamin’s speakers can be turned to face the open door, allowing you and your guests to hear the music, both indoors (on rainy days) as well as outdoors in the surrounding courtyard. Please contact Benjamin for further information about the music he can provide for you at The Ashes Venue. 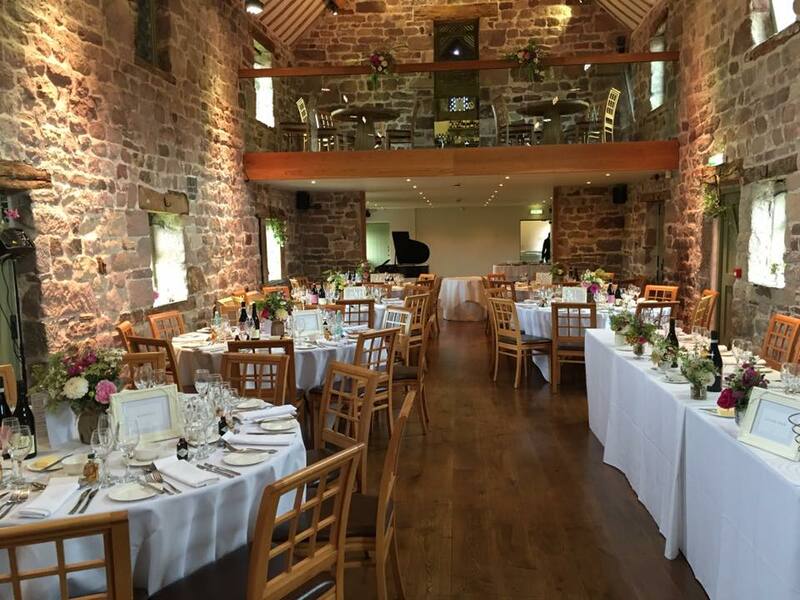 Wedding Breakfasts at The Ashes Venue take place in their East Barn. Benjamin’s portable grand piano can be set up at the far end in the area which later on in the evening becomes the dance floor. Benjamin’s grand piano links to several small speakers that can be placed discreetly in the window spaces that run along the hall. 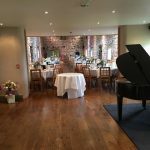 This ensures that you and your guests can hear the music from the piano as it is played nicely in the background whilst you enjoy your meal. Where is The Ashes Venue? The Ashes Venue is located in Staffordshire, West Midlands. It is found at the base of the West Midlands National Park in amongst 50 acres of stunning countryside.